With the explosive growth in the use of ecommerce, landing pages, email, web-enabled smartphones and social media as marketing tools, many marketers have totally moved their marketing efforts into the digital realm and forgotten about a tried and true marketing medium that has worked incredibly well for decades. They've allowed themselves to fall victim to the mistaken belief that this “marketing workhorse” is ready to be put out to pasture. And they would be sadly mistaken. What is this proven marketing tool? Offline marketing. Yes, offline marketing! As in direct mail letters and postcards sent to your mailbox. Contrary to popular belief, offline marketing is still a viable tool for winning new leads and converting new customers. It's especially useful when combined with online marketing to build a powerful, far-reaching marketing approach(keep reading to find out more). This isn't an “either/or” proposition. Online and offline marketing can work together quite nicely. You can benefit from both, enjoying a stronger boost to your ROI than if you chose one or the other. But if you are going to successfully integrate your online and offline marketing efforts into one smoothly running, bottom line enhancing campaign, you have to do it right. Likewise, there are certain things you have to do in your offline marketing, if you are going to reap the benefits available to you from it. This article will give you some simple, actionable steps you can take to enjoy the benefits of offline marketing, including powerful ways to integrate it with your online efforts. There's no doubt that in the last several years, there has been a quantum shift in the marketing and advertising world from offline to online. Direct mail volume is down. And if you're a marketer looking to expand your company's reach, this is wonderful news! Think about it: since direct mail marketing volume is down, you have less competition. And when you send out a sales letter or postcard, you have a “captive audience” of sorts, a potentially very large audience. More people have mailboxes than have computers or smartphones. And they still check their mail. How will they view your message? Your have their attention, at least for a couple of seconds. You have a chance to grab their interest and win them over. You want your direct mail message to wind up in Stack 3, or at the very least in Stack 2. But if you do like most direct mail marketers, you'll fail in spectacular fashion. Your message will go into Stack 1 and then directly in the trash. Most companies that do direct mail advertising make many costly mistakes. A lot of these mistakes are dead giveaways that lead prospects to immediately think of their messages as junk mail. The messages come in a slick-looking envelope with spiffy corporate graphics and the company name prominently displayed on the front. They come with a metered, 3rd class stamp, instead of a “live” 1st class one. Right off the bat, they give the impression that this is a lame attempt by some big corporation to try and sell them something they don't need or want. In the rare instances when the letter does get opened, the copy is often centered on the company and its product, instead of the reader. It then does nothing to persuade him to buy. They're right. Direct mail doesn't work...If you do it like they do! Think about your last several trips to the mailbox. What did you open right away? That's right. You opened a letter from a close friend or family member. Maybe you got a postcard a friend sent you from their vacation. If so, you read it immediately, right? Of course you did. Do you want your prospects to treat your direct mail letter like a “letter from Grandma”? Then make it look like a letter from Grandma. Make it look personal, not “corporate”. Use a live stamp that you actually attach to the envelope. Place the stamp at a slightly odd angle. If you have time, and decent handwriting, write their address on the envelope. Leave your return address off entirely. Also, don't include your company name or logo, or any company graphics. If your budget allows it, include a “grabber” that will make the mail piece “lumpy”. This might be something fun and catchy, like a toy soccer ball, sent with a letter about how your service can help them “kick the competition to the curb”. If you sell beach front real estate, it might be a tiny bag of sand from the beach in front of your latest condo for sale. Your options here are almost endless. If your letter is going to get read, it must get opened first. And putting an odd-sized object in your mail piece almost completely guarantees it will get open and arrest your reader's attention. Then, following the rules of outstanding persuasive copywriting, include a compelling sales letter with a message and offer they can't resist. Make no mistake about it; direct mail letters can be a very effective way to win new business. They can increase your conversion rate. They can help you drive traffic to your website if you include your URL and “sell” readers on visiting your site. So please consider using direct mail letters in your integrated (online + offline) marketing plan. But remember they do have a limitation in that they have to get opened and read. The envelope can be a major barrier to this. So, it may make sense, in some situations to use postcards instead. Postcards, especially oversized postcards, are more likely to get read than a letter. 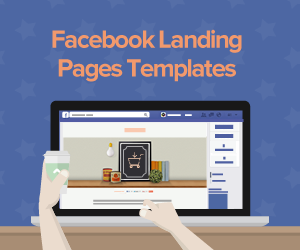 They are a great tool for driving traffic to a landing page, or to your website. So use them when it's appropriate. Just remember that they won't work in those situations where you need your offline message to be long (you'll want to use a letter instead). And sometimes you do need it to be long. Your postcard messages need to be brief and to the point. Despite the common (but VERY false) notion that “direct mail is dead”, many companies are using it as an effective marketing tool. Even Internet giants like Google use direct mail to begin the sales process for their products and services. They often have a sales message that begins in a direct mail piece, and the call to action is make people scan a QR code and send them to a landing page to complete the purchase. They use direct mail as a way to drive traffic to their websites. They include their web address and social media addresses in their “snail mail”. So can you. You can combine your offline and online marketing efforts just like they do. You can begin making an offer in a mail piece and tell them to visit a landing page customized for them with their name in the URL to find out more. Think of your website as your company's online marketing hub. You want to direct a flood of traffic back to it. You want it to be the biggest part of your sales engine. So in your online and offline marketing activities, always look for ways to drive traffic to your website. Traffic generation methods can include your email marketing, your social media marketing and your offline marketing. Include your URL in all of your offline letters and postcards and “sell” your mail readers on visiting your website. Marketing is a tough, competitive business. You need to constantly be looking for ways to grab your prospects' attention. You probably need to contact your prospects multiple times to make the sale. These “touches” can happen offline and/or online. Contacting a prospect offline can get his attention in a way he wasn't expecting. If you do it right, and if you combine it with very effective online efforts, you're more likely to make the sale. As a savvy marketer, you don't care about using a marketing tool just because it's “the latest thing”, you care about what works. Direct mail still works. Online marketing works. Using them together can work very, very well! In order to improve how well your online and offline marketing work together, constantly be refining your approach. In other words, TEST, TEST, TEST! Keep what works for you, and change what doesn't. One of the most important tools in an integrated marketing approach (one where you combine online and offline marketing) is landing pages. A great landing page can also be a wonderful compliment to your offline campaigns. 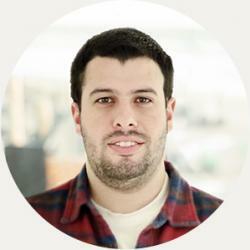 Personalization has been shown to boost conversion rates and ROI. You can give your landing page a personalized URL with your prospect's name. You can also customize and personalize the message on your landing page. 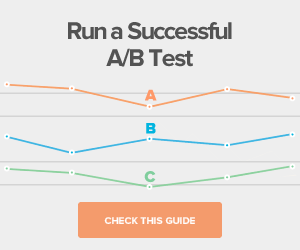 This can cause your conversion rates to skyrocket. Whether you are trying to get your email subscribers to sign up for your latest white paper or webinar, or you are selling through an ecommerce website, or telling your offline letter readers to go online to make a specific purchase, you need landing pages. 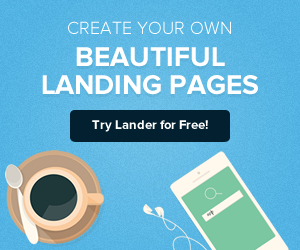 If you are going to use landing pages in your integrated marketing campaigns, why not enjoy the myriad of benefits available to you from Lander? 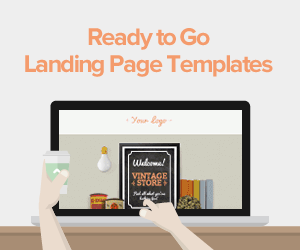 We offer you a wide selection of landing page templates designed for an awesome user experience and optimized for a high conversion rate – in other words, built to help you make more money! And we are happy to let you try them out for free. So don't wait. Visit us online today to discover how we can help you enjoy some wildly successful marketing results!